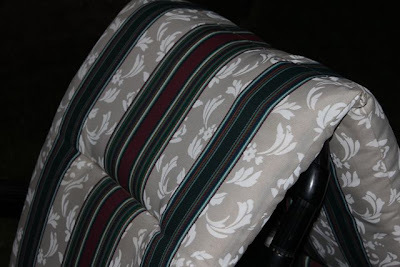 Women on a Mission: Mom Edition: THRIFTY OUTDOOR PATIO TABLE! 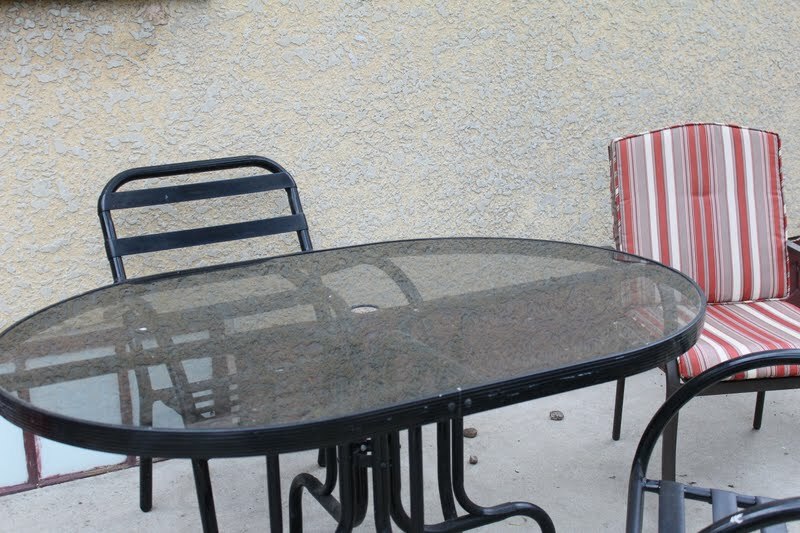 I was on the lookout for a new patio table…but of course I was on the lookout for a THRIFTY PATIO TABLE! 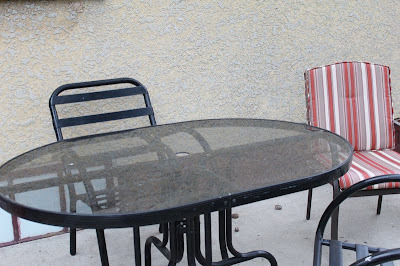 I told Steve…I would find a table for DIRT-CHEAP! Mission…MAJOR SUCCESS! My in-laws (Steve’s mom and dad) had recently done a table upgrade and happened to have a high-quality black metal table in storage. They pulled it out…it was perfect…and IT WAS FREE! Quick cleaning and it looks like NEW! All this table needed was an umbrella and cushions! 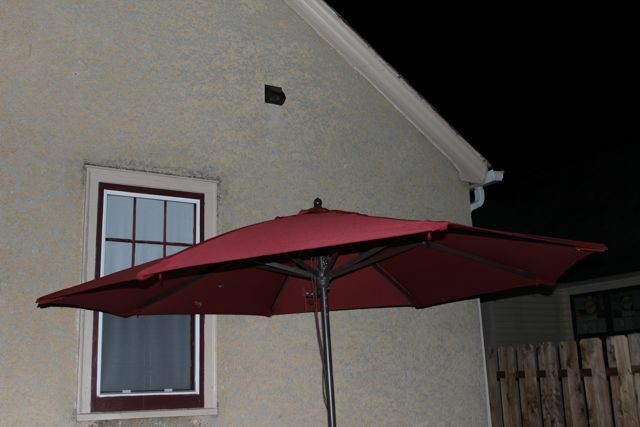 This past weekend, Steve and I hit-up home depot and discovered patio table umbrellas reduced from $95.00 to $60.00. But that wasn’t it….the umbrella handle had a slight crack—I asked what the “damaged” discount was and got it dropped down to $30.00! And...It matched the trim perfectly! 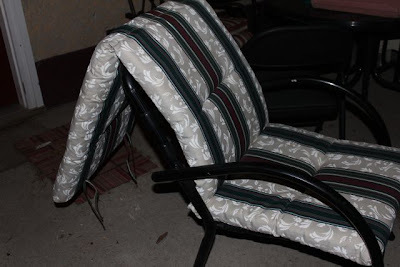 Tonight—I hit up my local thrift store in my little city, ND town and found two lounge chairs with cushions. The thrift store manager let me break-up the set. ONLY $10.00 for the two long cushions…perfect for my patio table. All I need is a little cushion re-do. I haven't decided if I will re-cover, but I will need to cut and alter to fit! Total cost so far--$40.00! WOMS—I will be finishing up this project this weekend…be ready for updates next week. Well done Lori! These are fantastic finds!